Our white sage is grown wild and cultivated by hand in the coastal mountains of California. This herb has been used for centuries by Shamans and Native Americans for cleansing. 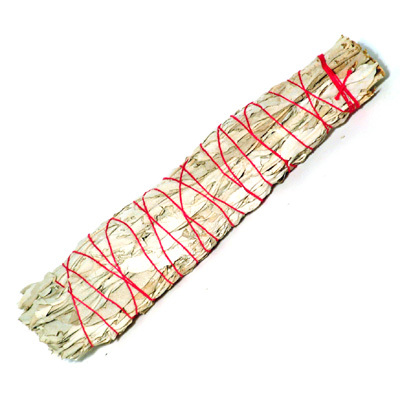 The White Sage Smudge is known for its richness and strong aromatic scent infused with natural qualities suitable for purification of body, mind and spirit. Among the many species of the Sage plant that grow in different parts of the world, the white sage and its brother plant, the High desert sage, are more widely known for their spiritual benefits. The quality of these minis is simply superb; each bundle is really a work of art, made out of the best quality leaves found in northern California.